I hope everyone had a lovely weekend. We had lots of fun watching the royal wedding in the sunshine and enjoyed a BBQ or two! Today I am sharing with you a great holder that I put together for the ladies that attended my card class last week. I always enjoy putting a little gift together to say thankyou for coming and this time it was for some yummy biscuits! 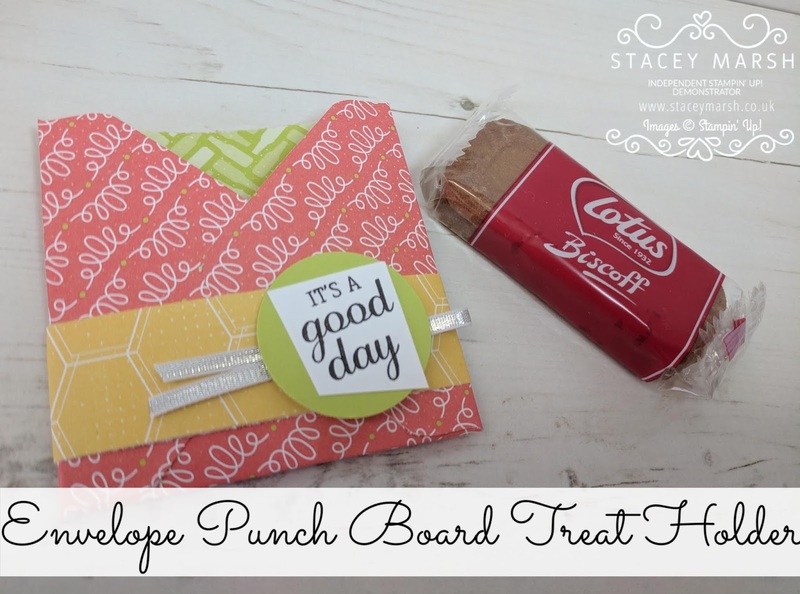 The Envelope Punch Board is one of my most used crafting tools and it's for more than just envelopes although the basis of this holder is an envelope with the top part cut off! 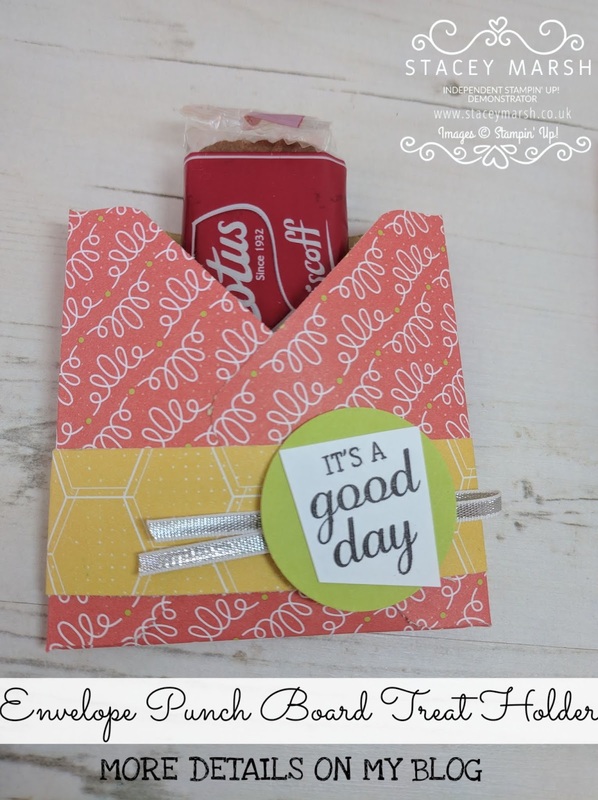 To decorate I have used a strip of DSP secured around, a strip of ribbon folded over and a punched circle. I have stamped the sentiment onto white cardstock and cut out the odd shaped shape with my scissors. Nice and simple!